Nature's Logic North Atlantic Sardine Oil Supplement 16 oz. 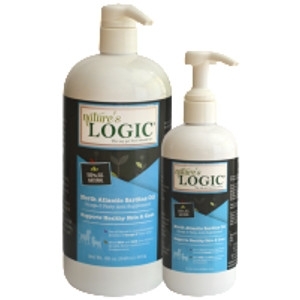 Nature’s Logic™ North Atlantic Sardine Oil contains more EPA and DHA than Salmon Oil and has naturally lower levels of environmental contaminants. By Supplementing Nature’s Logic North Atlantic Sardine Oil’s natural rich source of long chain Omega-3 Fatty Acids, you are adding one of nature’s most bio-available sources of these nutrients to your pet’s diet. New baby at home? Trip to the vet? Feline beeline? 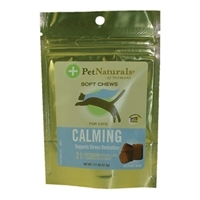 CALMING for Cats is designed specifically for cats exposed to increased environmental stressors. Have you ever watched him leap from the roof to the hot tub to the ground in two seconds? 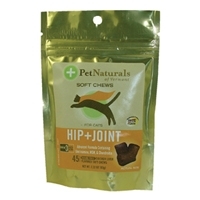 Life on the catwalk means walking proud and tall with no time for achy joints. 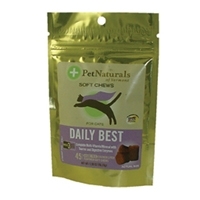 DAILY BEST for Cats offers a full spectrum of balanced vitamins, minerals, amino acids, fatty acids, digestive enzymes and antioxidants which are not always found in cat foods.